In auto mode, the album art and user interface are enlarged. Swiping up and down switches between categories like Recent, Featured, Favorites, etc. 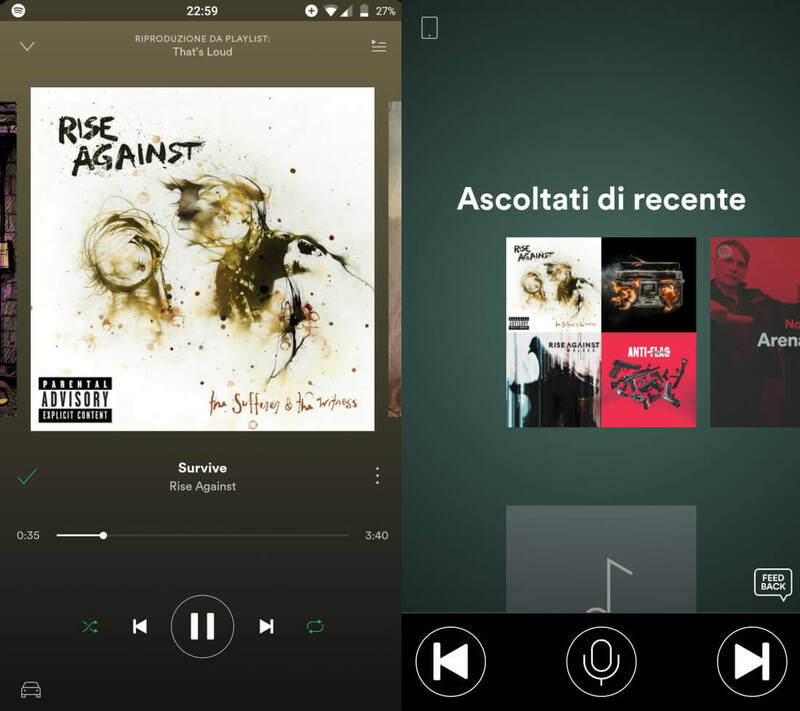 Horizontal swipes switch between albums or playlists, while the large forward and backward buttons change tracks. There is also a voice that announces the playlist and song names, so you don’t have to look at the screen while driving. Additionally, a microphone icon initiates voice controls, but Chris54721 says that this function was not working for him. When he tried using the voice controls it just issued a “network error” message. It sounds like voice controls might rely on something on the backend to function, which might not be set up yet. The feature has only appeared on the Android version of the Spotify app. It looks like it was intended to be pushed out to employees, but for whatever reason, the update went out to several Redditors who are not current or former employees. The notion that it was meant for internal testing comes from a Google Docs feedback page that asks for the user's email, but "only the name before the '@spotify.com." A driving mode would be a nice and useful addition to the app, but Spotify has yet to make it official. There's a history of the streaming company testing features without ever releasing them, so it's hard to say how soon if ever we'll see this functionality adopted.